It’s been 2 months and I cannot believe that I have finally gotten around to working on the newborn photos of Alexis. All the annoucements have been delivered so I am free to post these without spoiling the surprise. Btw, for those looking to get baby announcements/thank you cards, etc, check out MetroBabyCards. That’s where I got mine and I was very happy with the quality, unlike some of the mainstream services I’ve used before (won’t name names). 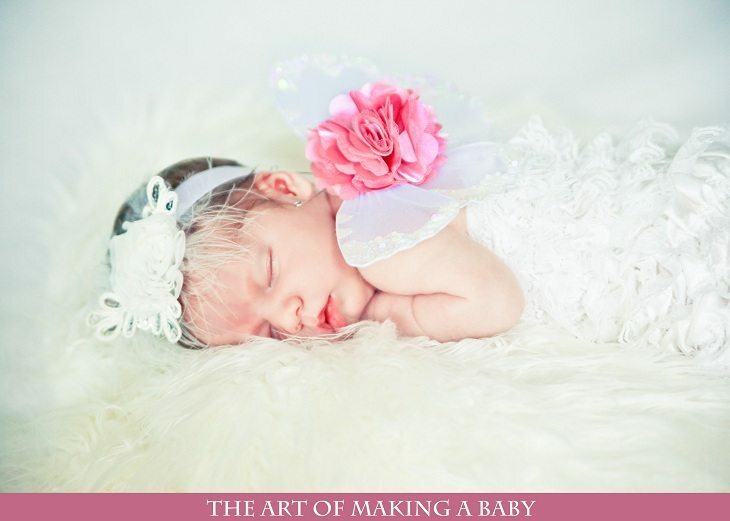 When Alexis was born, I knew that newborn shots should be done in the first 10 days for easy positioning and cooperation from the newborn. The problem occurred when Alexis decided that newborn photos didn’t really matter and that she will NOT sleep for the first two weeks of her life. AT ALL! (well, not really but you get my point). She wouldn’t nap and wouldn’t sleep at night, unless she was on our chests and was a very alert newborn. You see the issue there when it comes to photographing a SLEEPING newborn? So I waited a week hoping that she would start sleeping soon. Nada! Finally I said, I’m just going to try the very next time she falls asleep on my chest. I figured if it’s too hard, I’ll get a professional photographer, since I have never photographed newborns. Hard to photograph was underestimating what Alexis presented us with. We would dress her, rock her to sleep, pose her, take 2-3 photos and she’d wake up. That continued for an hour or so, until I didn’t want to torture my poor baby anymore for the sake of her newborn shots. 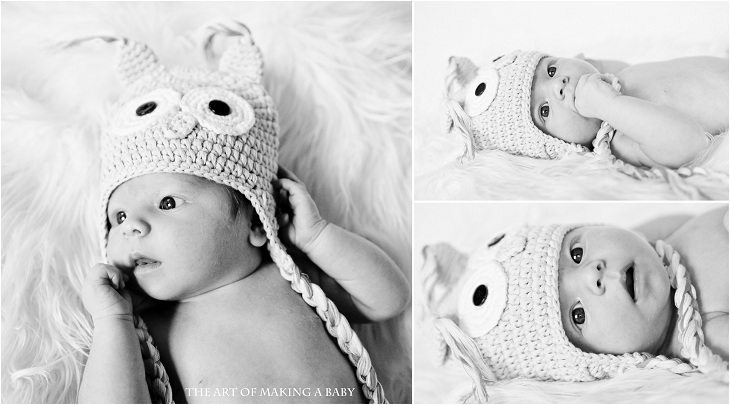 I took a few pictures of her awake with an adorable owl hat from Melondipity (and sucking her fist on most of them) and called it a day. In the next few days I attempted to take a few more but the girl would wake up THE second she was put down. We didn’t even have time to pose her. We had the heater up, a comfy place for her to lie on and yet the second she was off our chests, her eyes would pop open. So I gave up on the whole thing and didn’t call a newborn photographer, because with the way Alexis slept, there was not much that could have been done even if you have mad skills. However, to this day I see cute newborn photos on our people’s blogs and their account of how easy it was to pose him/her while sleeping ( yes, Melissa, I’m talking about your adorable boy), I smile and wish I could have had the same. The most important thing is that I have a few posed shots of her as a little baby and a million others taken every day since they day she was born. So the memories will always be there. And it’ll be so much fun to show her the outtakes (they are HILARIOUS!). These photos are gorgeous and capture her personality! And that outfit and headband seriously could not be any cuter I LOVE it! I love the fairy outfit! Where did you get it? 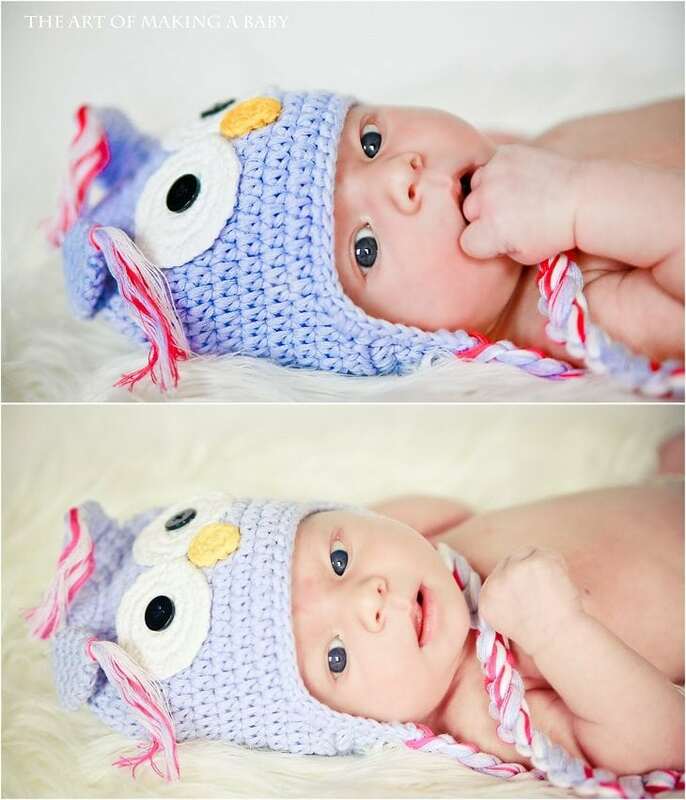 Oh my gosh, I love her little owl hat. I think the open eyed shots of Alexis are beautiful. She’s so alert with her big blue eyes! Hope to read so much more about her. I found this great resource that you or your readers may enjoy! They help women who are pregnant, trying to get pregnant, breastfeeding, or adopting. They answer all kinds of questions about exposures (medication, illness, fumes. etc…) that may harm the baby. They are very helpful and nice! we never had “professional” pictures taken of my 1st child. Do I regret it? no not really…..the pictures we took at home are actually better than any “posed” shot. My husband took video of him (he was probably 2 months old) because his facial expressions would change every 20 seconds…he then did screen shots and combined them into a picture….5 shots across and 3 down. 15 different facial expressions. Its one of my favorite “pictures” of him. 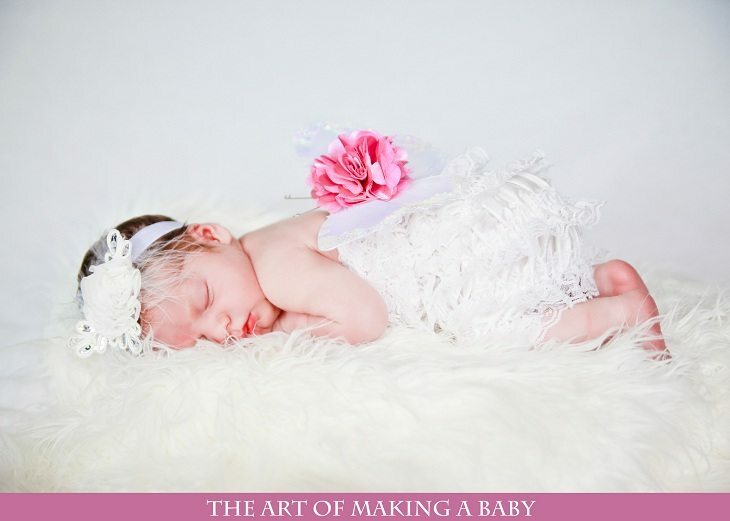 I think these are still really sweet – I’ve been debating on whether or not I would do my own newborn photos and I’ve decided that I will….knowing that they may not be picture perfect, but they’ll b e mine. Truth is that Lexi wasn’t sleeping and you reflected her personality in just the way it should have been done. Great job! 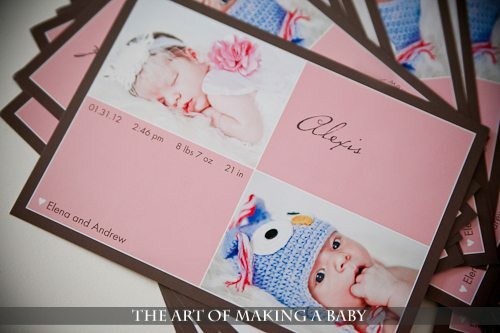 I booked professional pictures when Vivien was 8 days old. We went for our two hour appointment, and she was awake for 98% of it (didn’t fall asleep until we were almost done) and would cry if we stripped her down, so none of her shots are naked baby. They are all (99%) wide awake shots wrapped up in some sort of cloth. So I get the jealousy part, lol. I love the first one of her in that adorable hat! I’m a photographer and have to say I would squeal with delight if I saw you walk in with that little cutie, her eyes and hair are amazing. 🙂 Great job! Beautiful, beautiful, beautiful! I can’t believe you guys took these yourselves. Love the announcements! Awww! She is so beautiful! I love how she’s so alert in those shots–those gorgeous blue eyes are just soaking it all in. Good job, mama! Oh my goodness! So adorable! Great job on the announcements! You are an amazing photographer and these pictures turned out gorgeous! Love the birth announcement! Is she wearing a hat because you are trying to cover her forehead birthmark? My baby has really big ears, and I feel bad trying to cover them in her photos but am wondering what you think, as a more professional photographer. Thanks! 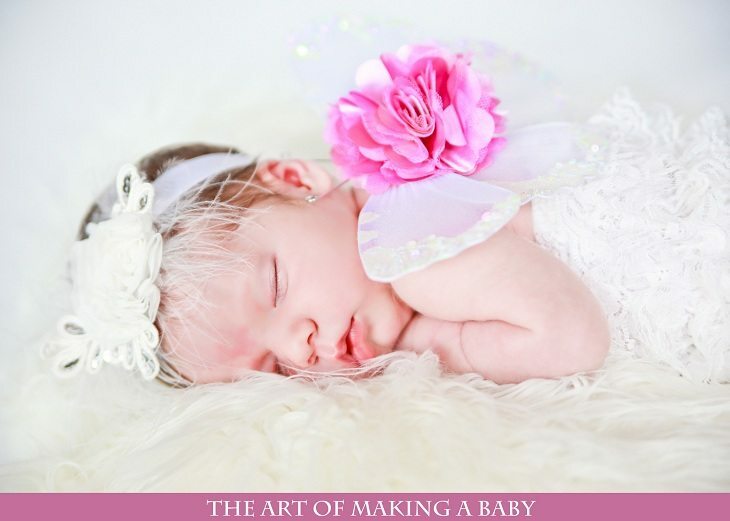 I personally think prominent features like big ears are cute on newborns, especially in newborn photography. It makes them unique. Newborns are not supposed to be “pretty”. 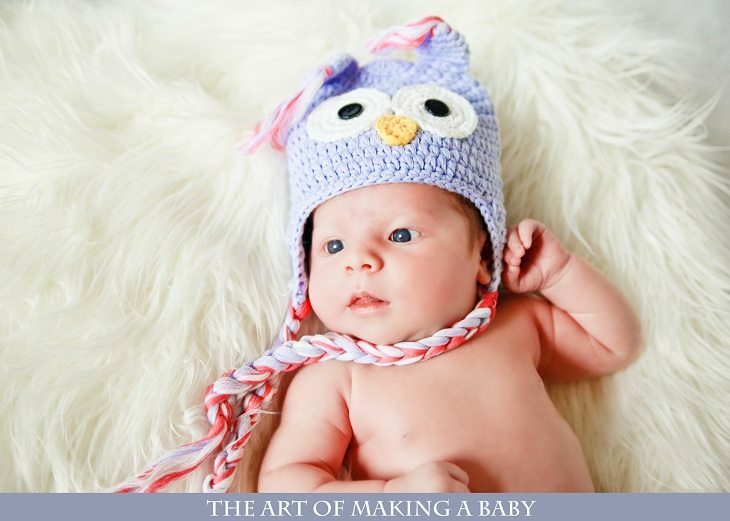 That being said, if you want perfect pictures and you don’t like the look of your baby’s ears, by all means put a hat on. You’re not changing anything about your baby, just showing his “best” side.